Today is the 9th day of the Jewish month of Av (Tisha b’Av), a day Jews commemorate as the date when the holy Temples in Jerusalem were destroyed. The first was destroyed in 586 bce by the Babylonians, with most of the Jewish population taken as captives to Babylon (see the biblical book of Jeremiah). After being rebuilt in Jerusalem by a small group of Jews allowed to return under the Persian protectorate (the Persians conquered the Babylonians), the second Temple was destroyed by the Romans in 70 ce and the Jewish population there was dispersed throughout the Roman empire. Tisha b’Av was also the date in 1492 when Spain finalized the edict to expel the Jewish population from that country. In synagogues today, the book of Lamentations (probably contemporary to Jeremiah) is read as Jews remember the loss of lives, property, and the place to gather as a people to worship together. The destruction of the Second Temple caused a radical shift in how Judaism was perceived and practiced. There were no longer animal sacrifices or need of the priesthood and Levite helpers who tended the Temple rituals. The synagogue as an institution was born. Even though this is a day of sadness, I’m not sad that animal sacrifice is on hiatus as a Jewish method of worship. I celebrate the re-creation of Israel as a Jewish country — a modern one — and tend to ignore those prayers about rebuilding a Temple and restoring ancient sacrificial forms of worship. What’s more, for the Temple to be rebuilt, the mosque that currently exists on that site would be destroyed. I don’t think that is a good idea for anyone. Talk about a reason for a holy war . . . However, I do think it is worthwhile to reflect on loss, destruction, and sadness as a community endeavor. This is particularly important when experiencing personal loss. It seems like American society expects us to ‘get over it,’ that death and illness should only cause a temporary sadness, a blip on the radar of an otherwise totally joyful life. 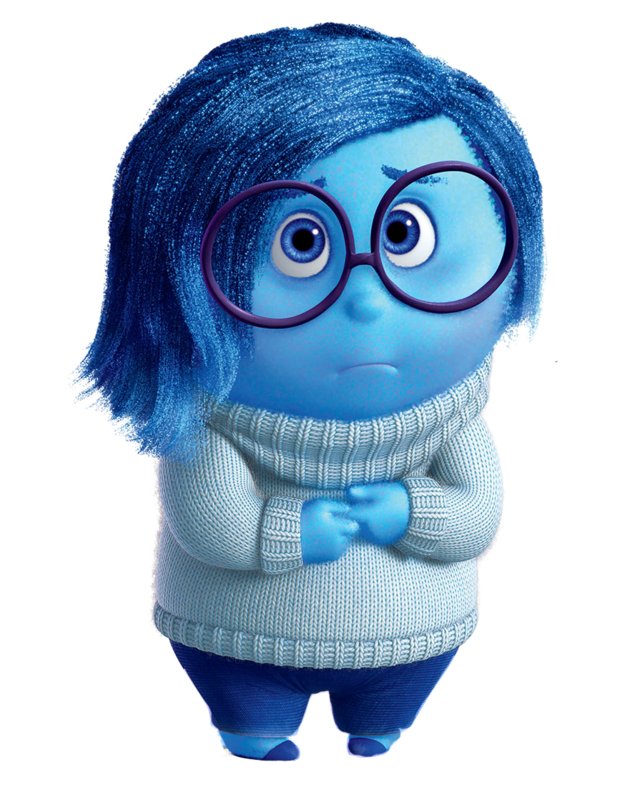 Judaism is wise in the ways of sadness. Grief is a journey, with sign posts to help in the process. There is no particular time when we’re supposed to be ‘over it.’ The loss is always with us; it becomes more bearable and familiar over time, but nothing fills the empty place that the death of a loved one leaves in a family. I officiate at numerous funerals in which the family is basically on their own to manage their grief. This makes me terribly sad. I remember when my sister-in-law died, how important it was to me to have the extended family and her friends around to share memories and take care of day-to-day details. It was meaningful, and continues to be so, to say her name aloud in my synagogue community on each anniversary of her death. I’m not ‘over’ her death, I just don’t feel the need to cry every day. As Jews, we used to be really good at being present and mindful of one another. There are specific mitzvot (Jewish ways of doing and being) to visit the sick and comfort the mourner. I see families I work with refusing offers of comfort and help, feeling that they should be able to handle everything without taking their emotions into consideration. They want to be strong, to not wear their emotions on their sleeves nor to be a burden. I believe their family and friends want to help, to reflect the love in their hearts into the work of their hands. A grieving family denies others this specific mitzvah and themselves that solace that comes from community. Synagogue communities are still mostly successful at being present and mindful. But, there are more and more Jews who aren’t synagogue members, who have been turned off by synagogues or don’t see the need or purpose of synagogues. They see synagogues in a narrowly focused way, as places to ‘bar mitzvah’ children and to pray. If they’re not ‘into’ those two things, they stay away from synagogues and the Jewish community as a whole. Many Jews live by the myth of total self sufficiency and the necessity of pulling themselves up by their own bootstraps. They feel they don’t have the time for or the need of community. And yet, they are impoverished when they experience illness and deaths of family members, because they have no community on which to rely. They are also impoverished when there are joys to share. It often seems when I officiate at weddings that folks no longer know how to rejoice a wedding couple. They come, drop off a gift, eat a meal, and leave. Many no longer dance, or even offer sincere good wishes to the couple. There is no short term fix to these problems. Synagogues need to shift their marketing to show the myriad other benefits of belonging to community that are offered in addition to bar mitzvah and praying. Jews in general are woefully uneducated. How to reach them effectively is complex. Small efforts of one-to-one invitations — such as those practiced by outreach organizations — are successful, but there needs to be more funding for those by the Jewish community as a whole. Hillel and Moishe House are successful, but they still reach only a minority of college students and 20-somethings. We need a big and diverse effort, with the costs amortized over a lot of folks and institutions. There needs to be cooperation rather than competition. So, I’m still sad today for the loss that those ancient Temples represented — a big, powerful, glorious gathering place for all, filled with sights, sounds, smells, tastes, and touches that assaulted the senses and lifted us as a community. While we honor the memory of our past glories and tragedies, we need to focus our main energies on our future. Today’s tragedy is how we are losing the generations of today and tomorrow — slipping away nearly unnoticed rather than lost in a cataclysm like the Roman Wars, the Expulsion from Spain, or the Holocaust. It is just as important to guide folks in how to celebrate in their lives and in each other in a Jewish context rather than just mourning. Building and maintaining community begins with comprehensive and accessible education for all ages, not just children. While the Birthright Trips are an excellent beginning of outreach to 18-26 year-olds, there needs to be ongoing programming and engagement for this population. I know that many synagogues and organizations would appreciate this type of funding to make Jewish education affordable for all. Rather than dwelling in popularized myths of death and destruction, we need to popularize the wisdom and joy that Judaism provides for living a good life. Rabbi Wendy Spears is a community rabbi in Los Angeles. Find her at http://www.rabbiwendy.com and LIKE her on Facebook at Interfaith Wedding Rabbi – Rabbi Wendy Spears.